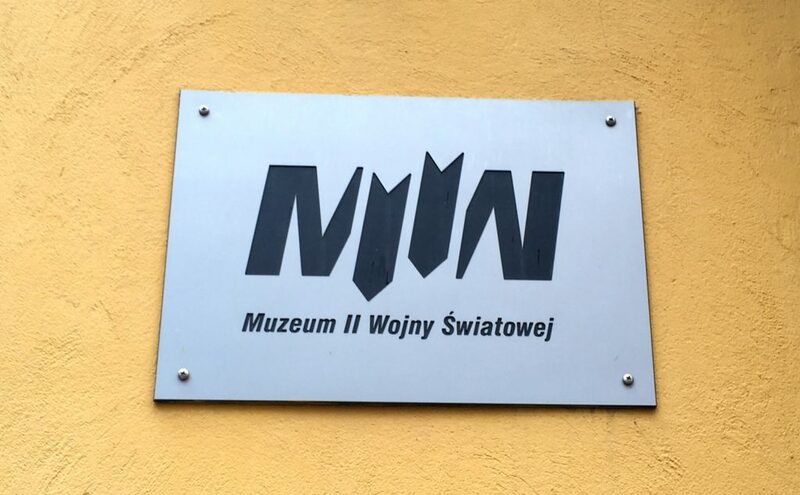 One of the coolest museums my study abroad group visited in Gdansk was one that technically wasn’t a museum yet – rather the promise of one. The World War II Museum in Gdansk was set to be open, but thanks to complications the opening has been postponed. Today it is a partially constructed building, one I was able to tour. Walking around the interior of a partially constructed museum was fascinating, especially since my guide was involved in the planning process of the museum. While there weren’t any exhibits currently on display, he was able to walk my group around the museum pointing out where everything is eventually going to be displayed. Another interesting aspect was how some of the largest displays in the museums had to be placed in the building first. For larger exhibits, like a military tank, the museum has to be built around it. 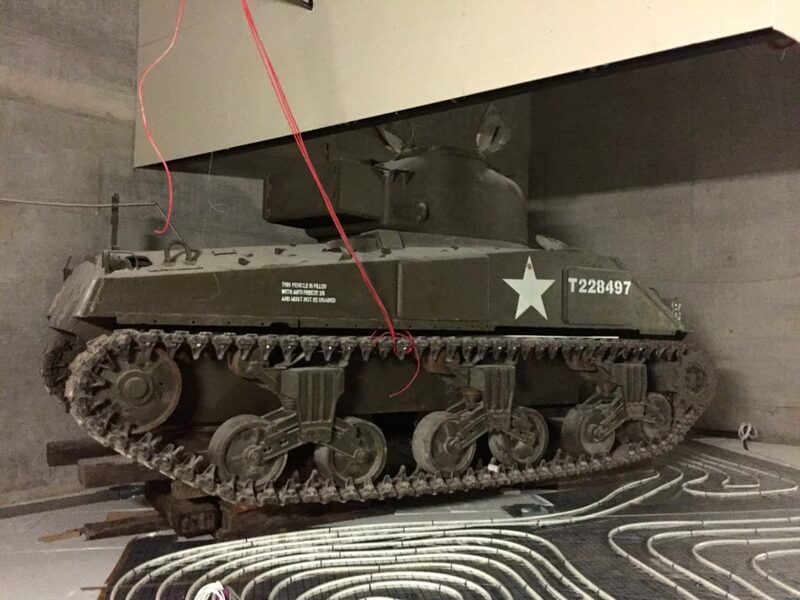 It simply isn’t feasible to drive a tank into the middle of a finished museum, so it needs to be placed months before the museum is even near finished. 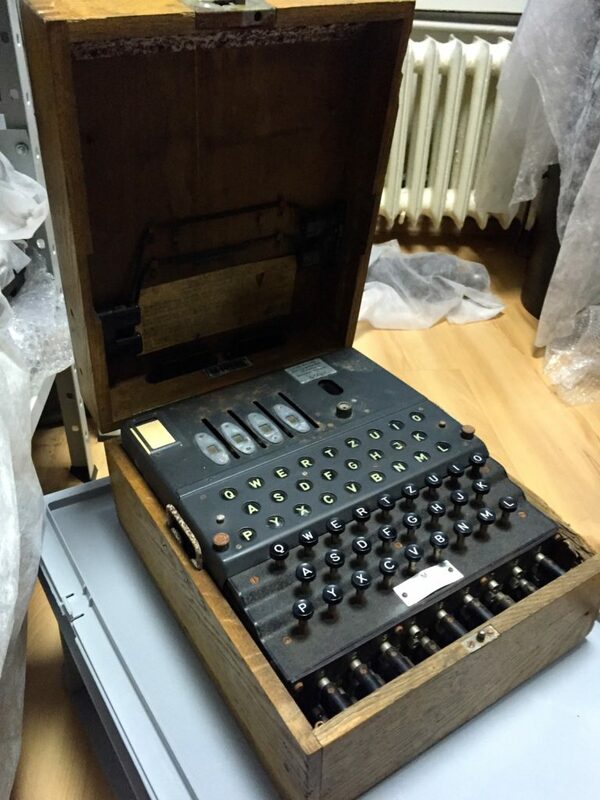 What was also interesting was that besides the museum structure itself, my group was also able to examine some artifacts that will be placed in the museum, at times even handling them, such as a German gun everyone was able to hold and an Enigma machine. While at the headquarters of the the museum, my group also saw a video pitching the museum, which highlighted not only what the museum was going to look like at completion, but also the intention of the museum. What makes the museum unique, as well as controversial, is the emphasis of the museum. Rather than on the military or political history, it focuses on the impact on civilians. It intends on commemorating civilian causalities from many different nationalities, including Poles, Jews, Ukrainians, and Russians. There is debate as to whether the museum will ever be open to the public, or if it is, whether it will be presented as it is planned now. There are issues with some new members of the Polish government, as the museum focuses on an objective truth about Poland’s involvement during the war. And while Poland did have its moments of glory, it also engaged in crueler acts, such as the town of Jedwabne where the Poles murdered their Jewish neighbors. The museum wants to take the good with the bad, and become the largest objective museum on World War II, giving an honest look into Polish history. Unfortunately this isn’t sitting well with the current Polish government. They would prefer that the museum be repurposed, and rather than focusing on an objective history of World War II, it showcase the Polish heroes of World War II. While a museum focusing on Polish heroes would be a great museum to have, it should not be made in lieu of a museum focusing on realities of World War II. The politics involved with the museum were even more upsetting because our guide was an open supporter of the original framework of the museum, and it is suspected that the day he gave us our tour was his last day. He and a significant number of people working on the creation of the museum were being let go and replaced with others the government had appointed to take over. The majority of the money going towards the museum is provided by the Polish government, and thus they have more clout when it comes to decision making. I find the situation of the World War II Museum unfortunate and infuriating. I understand and appreciate the fact that it is uncomfortable to acknowledge wrongdoings. It can’t be easy for Poles to come to terms with the fact that while they themselves suffered, they were not solely victims, but also perpetrators of violence at times, especially towards the Jewish population. But that doesn’t mean it shouldn’t be remembered. The quote by George Santayana featured at Auschwitz says “those who do not remember the past are condemned to repeat it,” and that couldn’t be more true in this case. To avoid repeating the past it needs to be acknowledged. Forgiveness can’t be achieved if there is a refusal to accept blame for one’s actions. While Poland had atrocities committed against them, it does not excuse the pain inflicted on others. That’s why museums like the World War II Museum in Gdansk, how it is intended, are important. History can be uncomfortable. Bad things have happened in the past, and it’s uncomfortable and heartbreaking. But it’s important to teach and remember both sides, to show that people aren’t perfect and mistakes are made, but that we are ultimately able to move forward. If all wrongs committed are covered up we will never have the opportunity to learn from our mistakes. And if we never learn, we will never have the opportunity to improve our future. This entry was posted in Europe, History, Travel and tagged gdansk, history, museums, Poland, world-war-ii. Bookmark the permalink.